It's crazy to think that someone is making the online RPG computer game Warcraft into a live-action movie, but Duncan Jones, Legendary and Universal are doing it. As you can imagine, a movie with orcs, mages, elves and all other manner of fantastical creatures running around requires masters of the visual effects craft. That's where Warcraft takes a nod from Hulk in the Avengers movies, with the help of ILM. Industrial Light and Magic, a visual effects company that worked on making the Hulk the giant green rage monster that he is on screen, came aboard to engineer the look of the orcs. If you think these barbarian beasts look anything like Bruce Banner's alter ego, you'd be right. In an interview with Wired, Jones said that Jeff White, who worked on the creation of Hulk for The Avengers, was on set to supervise the motions of the actors. As such, Jones said that the orcs "feel like they may have some of the same genetic background as the Hulk." 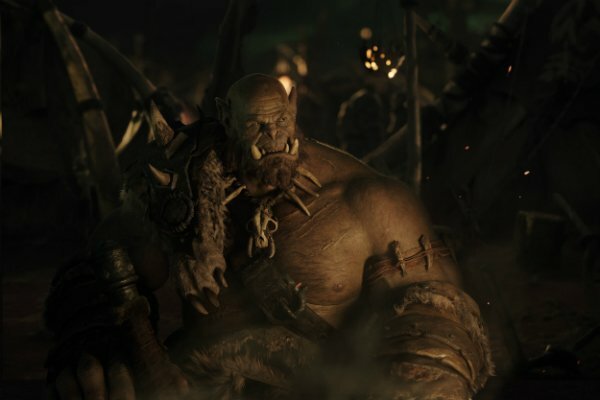 We got our first look at Orgrim, righthand man (or, rather, orc) to the horde Chieftan Durotan, not too long ago, and you can definitely see the resemblance to his CGI inspiration. Robert Kazinsky, who you've seen as Warlow in True Blood and a Jaeger pilot in Pacific Rim, portrays this character through motion capture, a technique that's being utilized more and more since the great Andy Serkis astounded the world with his unique performances. Jones said ILM was incredibly passionate about working on Warcraft. Though he didn't mention Weta, their rival VFX company, he did say that since they've been involved with a lot of kaiju- and superhero-based projects, they wanted to work on something like this to prove "they are still the best in the world at special effects." Warcraft also stars Dominic Cooper as King Llayn Wrynn, Ben Foster as the mysterious mage Medivh the "Guardian," Paula Patton as the strong-willed Garona, Tobey Kebbell as Chieftan of the Frostwolf Clan Durotan, Ben Schnitzer as a young mage Khadgar, Clancy Brown as feared orc warchief Blackhand "The Destroyer," Ruth Negga as Lady Taria, Daniel Wu as orc leader Gul'dan, Travis Fimmel as the warrior Anduin Lothar. Specific details of the plot are still under wraps, but the overall story will feature an epic battle between "The Alliance" of men and mages and "The Horde" of orcs and dark magic. Since the latter are CGI blood relatives of Hulk, we expect there will be a lot of smashing going on. Warcraft is scheduled to hit theaters on June 10, 2016.